Set among 22 acres of lush tropical greenery and landscaped gardens, Almond Morgan Bay borders a spectacular coral sand cover overlooking the glittering Caribbean Sea. Almond Morgan Bay features an excellent activities program including teen, kids and babies club. 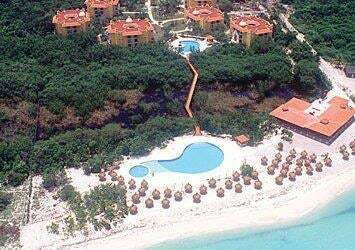 A great resort on beautiful Varadero Beach, featuring a modern design with a Cuban flair! 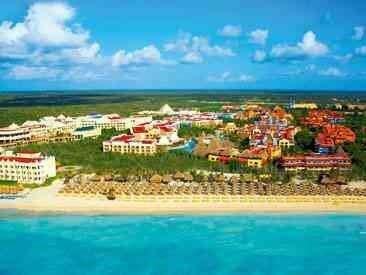 A wide range of acitivies combined with excellent service makes Blau Varadero a favorite with Canadian travellers. In addition to its five pools, the Iberostar Lindo boasts having the only wave pool and lazy river ride right on-site. Five incredible a la carte restaurants will tempt the most serious food lover. This hotel is perfect for families with a great kids club, large outdoor playground, kids pool and all-day ice cream bar. 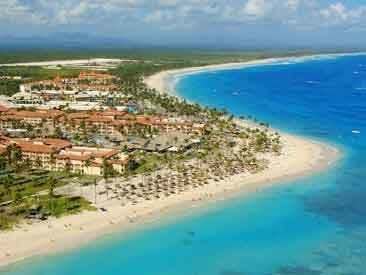 A breathtaking location directly on one of the most beautiful beaches in the world: Bavaro Beach. This property has spacious and elegantly furnished rooms, as well as a wide variety of activities. At the Occidental Grand Cozumel, you'll enjoy all-inclusive luxury accomodations and diving at one of the world's most amazing reefs. Experience the authentic Mexican design and upscale comfort of the rooms, the gourmet dining, and activities options in this hacienda style resort, just steps away from the sea. Set in the green forests of Costa Rica's magnificient Pacific Coast, this resort spreads its 2400 acres across an enchanted land where challenging golf meets thrilling eco-adventure. Here, history meets incredible panoramic sights and thrilling adventure, in the many National Parks located near the resort.